The decision to hire an attorney usually happens after something terrible has happened or there is a complicated legal problem that must be resolved. For many people, there has been a serious car accident that has led to extensive injuries. The person who is retained to represent your rights and interests is going to be the only one who can fight to get the results that you need, so it is critical to choose the right attorney. Consider that first meeting an opportunity to learn as much as possible. One of the best things to do is prepare a series of questions that may be used to determine whether the philosophy, experience, and work ethic of the attorney is aligned with your goals and needs. As your advocate, your attorney is going to have to be your voice, so you need to be certain that he or she will listen carefully to your needs and goals and then develop a strategy based on your unique circumstances, rather than moving forward with a generic plan. How do I know what attorney is right for me, as well as my family? If I was in a serious car crash, should I hire an attorney or work with the insurance company to obtain a quick settlement? How much can I expect to get in a settlement or court award? How do we determine what to seek in a lawsuit? Can we bring the case against the insurance company rather than the individual who caused the accident? What are my responsibilities after I retain an attorney? What is the likelihood that my case will go to trial? If I am injured, does my husband, wife, or children have the right to bring a lawsuit? Is there a lot of paperwork for me in pursuing a legal case? There is no one-size fits-all answer to this question. First, you need to determine what type of attorney that you need. Although there are attorneys who will handle many different matters, from property disputes, to breach of contract, to personal injury, it is a good idea to find an attorney or law firm with focused areas of practice. An attorney who has a strong focus in personal injury cases will have a team in place to handle items such as independent investigation into the negligent actions that resulted in the injury, developing a strong legal strategy and building an effective case, guiding the client to the right medical professionals to ensure that he or she receives the proper care, and preparing an effective case that contemplates future damages, as well as expenses and other harm already suffered. Are there attorney ratings, such as those on Avvo, that you can check? As important as it is to find an attorney with the right skills and background, you also need to think about the interactions that you have with the individual and his or her team. Do they respond promptly to your calls or emails? Do you believe that they will keep you informed of any developments and take the time to explain things to you so that you can make the right decision for you and your family? You need to find out the attorney’s philosophy on these matters and make certain that he is not merely paying lip-service to the questions, but genuinely has a plan in place to involve you in the process so that you do not feel helpless and isolated while trying to recover from terrible injuries. If I was in a serious car crash, should I hire an attorney or work with the insurance company to get a quick settlement? After a severe car wreck, many people are focused on the immediate needs, such as emergency and long-term medical care and paying the bills. This is the time that the insurance companies will push for a quick settlement. The representatives of these insurance companies know that injured parties are particularly vulnerable during the chaos and pain following a horrific crash and will take advantage of the opportunity to promise immediate funds. What many people do not realize is that these funds often are woefully inadequate to address long-term care and rarely factor in the pain and suffering following the accident. Dealing with insurance company representatives to preserve the victim’s legal rights. A knowledgeable personal injury attorney understands the tactics of the insurance companies and will fight to protect your rights while you focus on recovery and the well-being of your family. Even if the case does settle, a skilled lawyer will fight to get compensation necessary for care far in the future, rather than simply taking a settlement that covers costs incurred shortly after the wreck. It is important to realize that an individual who was harmed in a car accident may never be able to return to the work that he or she did before the accident, which may impact future salaries and benefits for the rest of that person’s career. In addition, the health consequences of the crash may necessitate accommodations to the home and vehicle and the hiring of care givers who would not have been necessary but for the negligence of the person who caused the accident. These issues must be considered when determining what is fair after a serious accident. Although it is possible to get a settlement from an insurance company or some other resolution following a serious car crash, a skilled attorney understands the many nuances involved in getting an accident victim and his or her family the results that they need to lead as normal a life as possible. The goal of any settlement or court verdict is to place the person, as closely as possible, into the position in which he or she would have been but for the negligence of the driver in a car accident. Retaining a qualified personal injury attorney as soon as possible after an accident is the best way to accomplish these goals. The person suffered actual harm as a result of the negligence – even if the negligence was obvious and egregious, if it did not lead to quantifiable harm, then it is not possible to pursue a legal recovery. Punitive damages– these are awarded if the actions of the negligent part were particularly egregious, but they are not common. Accepting a settlement before trial often means a lower dollar amount, but the injured person receives his or her money faster and the element of uncertainty is removed. The amount awarded after a trial depends on the facts of the case, as well as the jurisdiction in which the matter is brought. It is important to remember that most cases are marathons, not sprints. Although there are some cases where the insurance company will offer a reasonable settlement quickly, these are rare. Most of the time, the insurance company attempts to draw out the process in order to force the victim to take less compensation than he or she deserves. An experienced personal injury attorney, such as John Giddens, will work with you to understand the entire process and what should be expected. In developing the initial strategy, the needs of you and your family will be paramount and the steps that are taken will be based on these goals, whether that is pursuing a quick settlement or taking the matter to trial. It also is important to realize that the actions of the defendant(s) and his or her representatives may necessitate a revision to any initial strategy, but having a savvy, experienced attorney means that these changes can be made quickly. Under Mississippi, when a complaint is filed to commence a lawsuit, there is a standard request for the full amount that is permissible under the law. In most cases, it is important to maintain the ability to add additional damages as they are discovered, rather than providing a ceiling through which it is hard to go. This is why there almost never is a specific demand. Unfortunately, this is not possible in the State of Mississippi. Unlike Louisiana and the few other states where there is a direct action statute that does allow a person who has been injured to bring the lawsuit against the insurance provider without naming the negligent party as part of the legal action, this is not possible here. In some cases where the case is being brought against friends and family members, this may lead to some uncomfortable moments around the holiday table, but it is crucial to remember that this money is necessary for your recovery and the wellbeing of your family. Although the insurance company ultimately is responsible for paying the claim in most cases, it is absolutely necessary to bring the case against the individual and not mention the insurance company at all. In fact, bringing the fact of the insurance company’s existence into the legal action may lead to the dismissal of the case through a declared mistrial, even if the insurance company is paying for the attorneys sitting across that very courtroom. Although this may seem a bit daunting, John Giddens and his team will ensure that you have all the information that you need to feel comfortable throughout this process. The fact is that most personal injury cases, including car, truck, and motorcycle accident cases, do not go to trial, but are settled long before the parties make it to the courthouse steps. Some matters actually are settled on the steps themselves. At Giddens Law Firm, approximately five (5) to ten (10) percent of the cases that we handle proceed through to a jury verdict. The reason for this varies, but insurance companies often want to avoid the uncertainties of a verdict. However, this does not mean that they are going to be reasonable from the outset. Often, they will attempt to settle the matter for an outrageously low value and will hold off with reasonable offers until they are convinced that you are serious in holding the liable party responsible for the harm that was done. Accepting a fair settlement frequently does shorten the time period considerably, meaning that the person who was injured and his or her family can move forward from the accident faster. The short answer is yes. In the event of serious injuries, a husband or wife of the person who was harmed may bring a claim for loss of consortium, which basically means that there is a separate monetary value placed on the unique loss that he or she faced as a result of the accident. This may include lost services around the home and lost counsel of a beloved spouse. If a person has been killed as the result of the negligence of a third-party, the surviving family members may be able to bring a wrongful death claim. In these cases, the surviving spouse and children will share in the proceeds of the case. When a person is killed in an accident and he or she is not married and does not have any children, then the settlement or court award may be shared between parents and siblings. 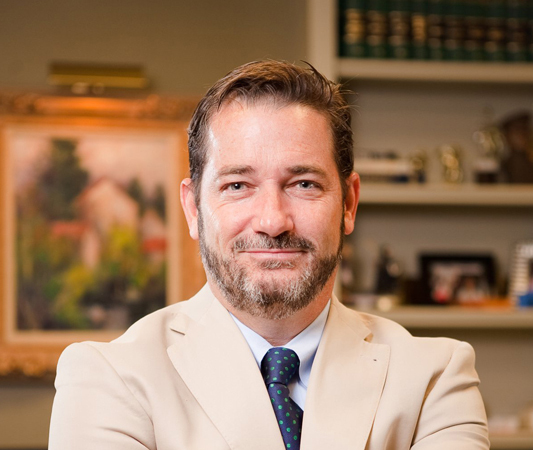 When you retain a skilled personal injury attorney like John Giddens, the paperwork will be minimal, but there are important documents at the beginning and end of the process, as well as some others throughout the pendency of the case. In deciding what attorney to hire, you will discuss the fee structure. In many personal injury cases, this is a contingency fee where the attorney is paid out of any proceeds of the settlement or court award. Once an agreement has been reached, a contingency fee contract is signed, which binds the attorney and you to the terms upon which you agreed. After this, there are a number of forms that are part of the legal process. You will need to allow the defendant to have access to medical records by executing a medical authorization. In addition, part of proving damages is letting the defense know your earnings so that calculations may be done. By signing a wage authorization, you are giving permission for this information to be released. If the case is settled, there will be a transfer of funds to your attorney’s trust account, at which time you will need to sign a release and settlement statement. Throughout the case, there likely will be other forms and authorizations that are part of the legal proceedings. At any time, you should feel comfortable asking questions about the purpose of a particular document or why it is necessary. There are many aspects of a legal case that can be overwhelming and it is critical to remember that your attorney is here to be your advocate and that includes ensuring that you understand what is happening and why it is being done in such a manner. If you have been injured because of the negligence of another person, contact John D. Giddens P.A. There are many things that must be done quickly and we want to be certain that you understand all of your options before making what may be one of the most important decisions of your life. During an initial consultation, we will discuss your situation and outline possible legal strategies. Call the office at (601) 355-2022 to schedule an appointment today. We represent those who have been injured through the negligence of others throughout Jackson, Mississippi and the surrounding area.